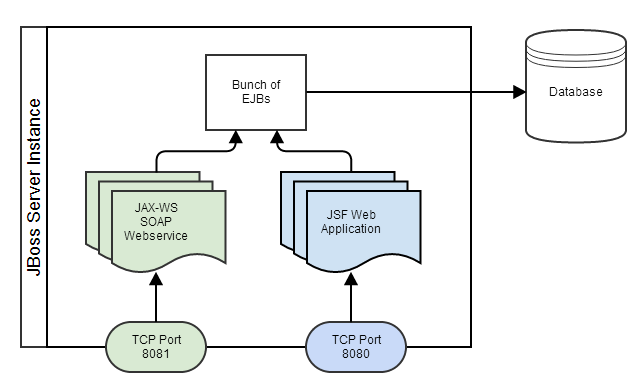 Have a Webservice (JAX-WS) and a Webapplication (JSF) listen to two distinct TCP ports? In this drawing, the JSF application is intended to be used only internally, but the SOAP Webservice should be available to a broader audience. Is it possible to do that as sketched up? How? Would it be possible to achieve this with two instances of JBoss but without the overhead of remoting? Thank you very much in anticipation of your suggestions!